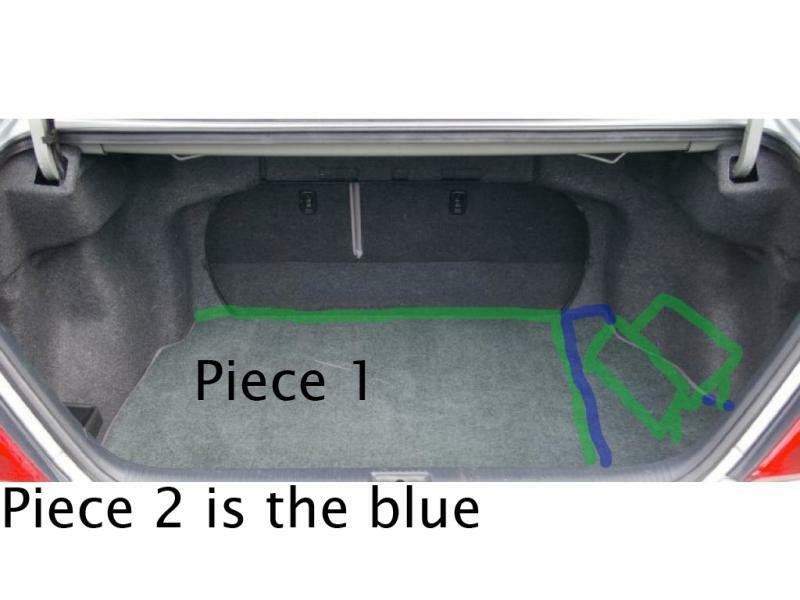 Anyone have pics of Camry trunk, of how they organized their amp. For My is difficult to find a place to install amp without blocking access to spare tire. Two amps (one 4 channel + one for sub) 12 inch alpine sub. Is there room on the back of the seats at all? and what year camry? Maybe re-make the floor and build it into two separate pieces, bigger one for the main area and then leave the left side (looking into the trunk) a smaller separate piece where you could build a dual slanted amp rack. Obviously you will still have to take your sub out to get at the spare tire but not a lot you can do about that really. let me see if i can upload a crappy little paint sketch of what i mean. This may or may not work depending on the size of the amps also. They may be a bit to big to both sit in that area. my drawings are a little scaled down but i think you get it :P. Could possibly do something like that. depends on how much work you wanna put into this as well. Not a hundred percent sure on how much of the area beneath is the spare tire area, but you can adjust things accordingly. Last edited by m3n4ce; 09-21-2011 at 03:25 PM. I will post final result. take that spare tire out and mount in there! 2006 camry speaker installation in GTA? Should I invert my sub?